Manufactured in Grade 316 Stainless Steel. Each Cafe Barrier Post head is a minimum of 50.8mm in diameter. 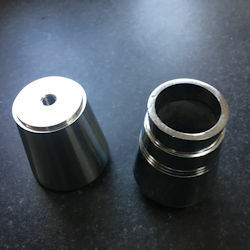 The Heads are produced by machining the component out of a solid stainless steel billet. Most cafe barriers on the mRKET have the top of the post manufactured by casting in an alloy and then chrome plating it. Although it does look similar, it will flake after time and is fragile. A sudden, firm knock and the head will crack open like an egg. There are three post tops that we manufacture. One for each of The Original Cafe Barrier, The Advance Cafe Barrier, and the Classico Cafe Barrier. A fourth post top will be released in 2018 for the Standard Cafe Barriers. 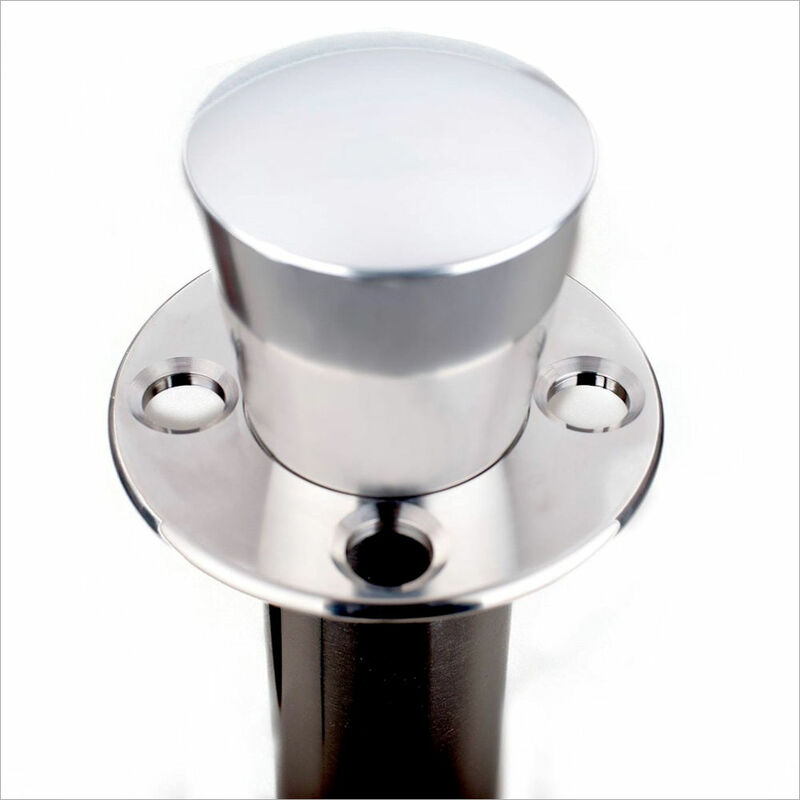 Our cafe barriers are machined in marine grade stainless steel. 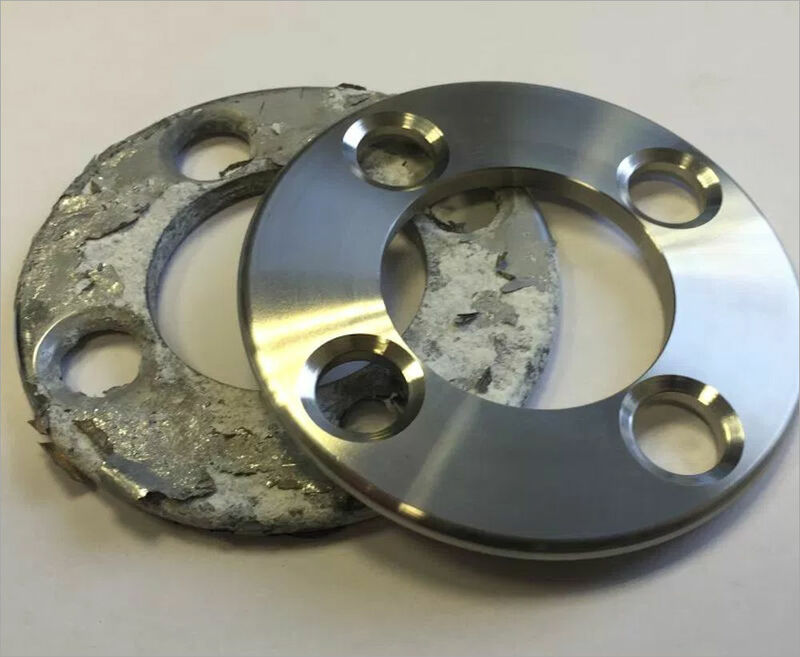 This ensures that the product will last a lot longer than the usual alloy casting supplied to the market. Customers who ordered Brandline cafe barriers over 10 years ago are still using the hardware that we originally supplied. 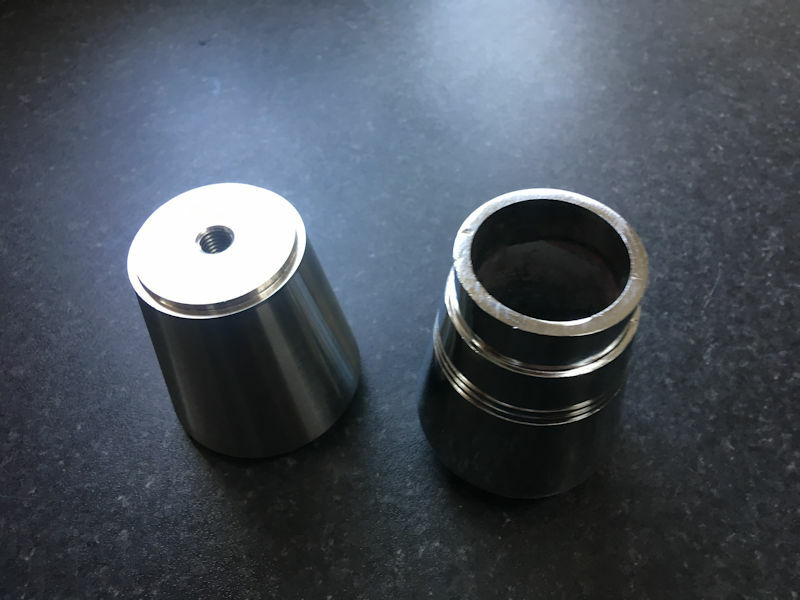 Being machined products, the weight of the components is significantly higher than the cast products. The Brandline products are corrosion resistant, meaning that the Cafe Barriers will not rust. For public safety, we ensure that all our Cafe Barriers have smooth edges and no finger traps. The Cafe Barrier posts have a five year warranty. All of the products from Brandline are DDA aware. 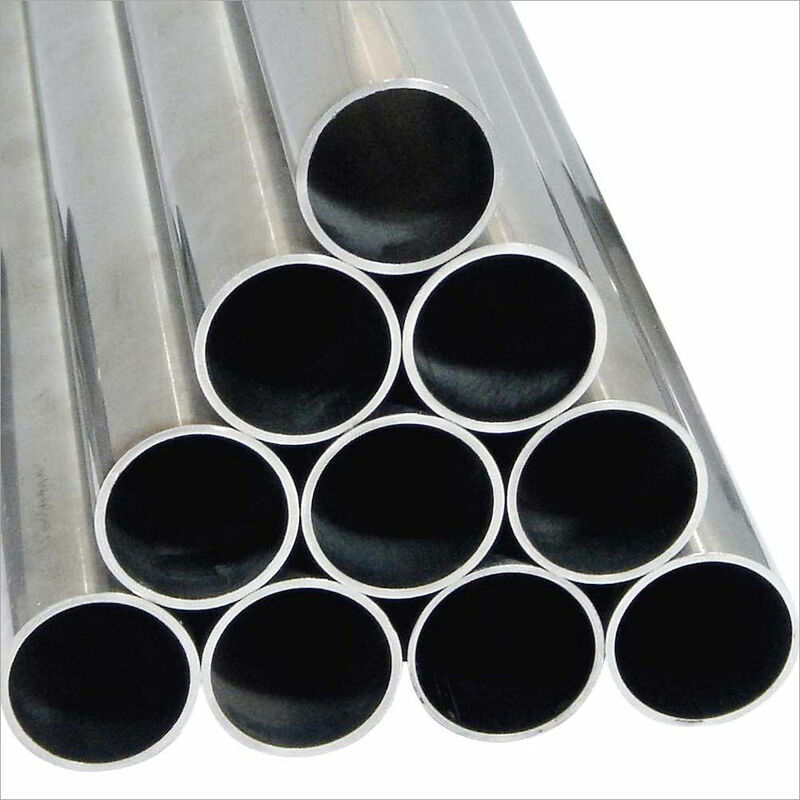 The stainless steel tubes we source are in purchased in six meter lengths. This allows us to manufacture longer tubes if we have to. See our blog - Bicester valet Installation, The Cafe Barrier tubes have a wall thickness of 1.5mm. 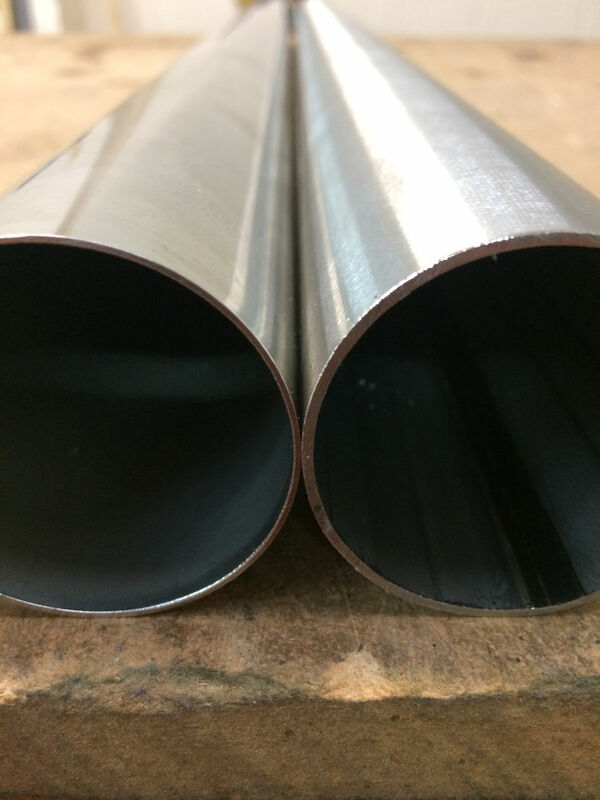 Generally, many of our competitors use a 1.0mm or a 1.2mm wall thickness on their tubes meaning that they can be dented more easily. The grade of the Stainless Steel we use is known as 316. There are over 150 grades of stainless steel. The most common is 304 stainless. This is used mainly for kitchenware and utensils. It is susceptible to pitting when exposed to long periods in an outside environment. 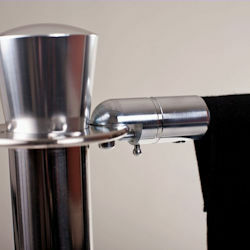 Most reputable cafe barrier suppliers utilise 304 stainless steel. Although it does not corrode, it will show evidence of pitting after time. The correct stainless steel to use is 316 Stainless Steel. This grade is used on oil rigs and platforms. as well as high-saline environments such as coastal regions and outdoor areas where de-icing salts are common. As the Cafe Barriers are generally by a road side, it is likely the salt from the roads will be a regular occurrence. Especially in the UK. 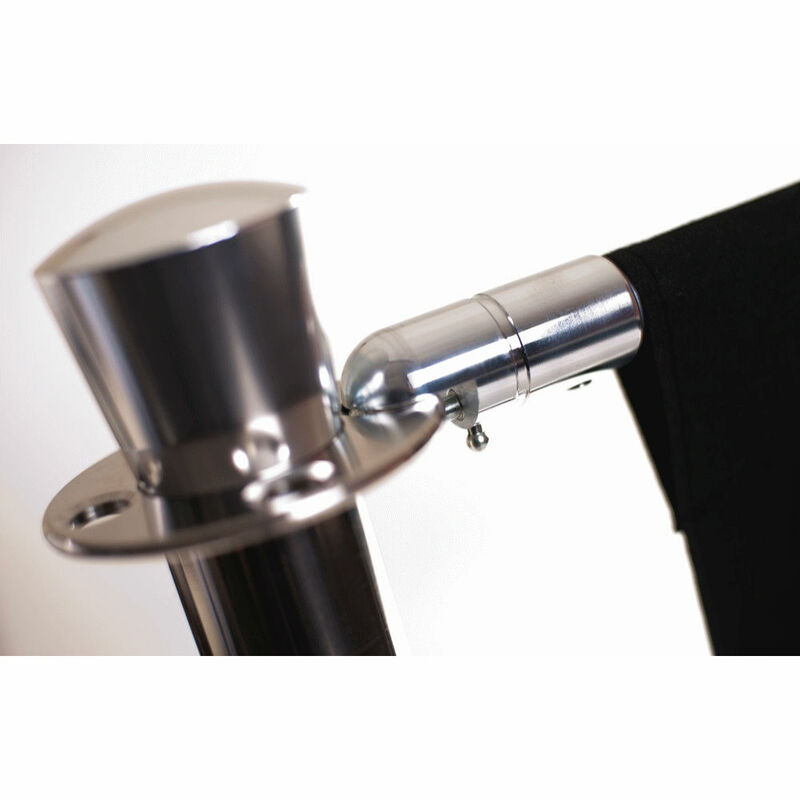 Our cafe barrier products are manufactured in 316 stainless Steel. It is classed as a marine grade. Many imported cafe barriers are made from 200 series stainless steel. Do not use these! They will corrode after a few weeks. If you are unsure if a product is stainless steel 300 series, use a magnet. 200 series is magnetised. The Brandline cafe barriers can be supplied at any height. We would not recommend over 1.4M with a free standing base. The wall thickness on the Brandline Cafe Barrier is 1.5mm. We supply our products in a brushed finish. This hides handling marks. The loops are used on the cafe post to hold the banner in place. In 2016 we were called to a site in Cardiff as the owner was complaining that the Brandline cafe barrier posts were "peeling". After reviewing our records, we could not find any reference to the client. No purchase order or sales invoice could be located. We assumed that the owner had purchased the cafe barrier posts through an authorised distributor. We asked the owner when and where that cafe barriers had been sourced. It was evident after some discussion that the user had unknowingly purchased an cheap imitation of our cafe barrier posts and was now suffering the consequences. The image below shows a cast imitation loop compared to a stainless steel Brandline loop after just five months in use. 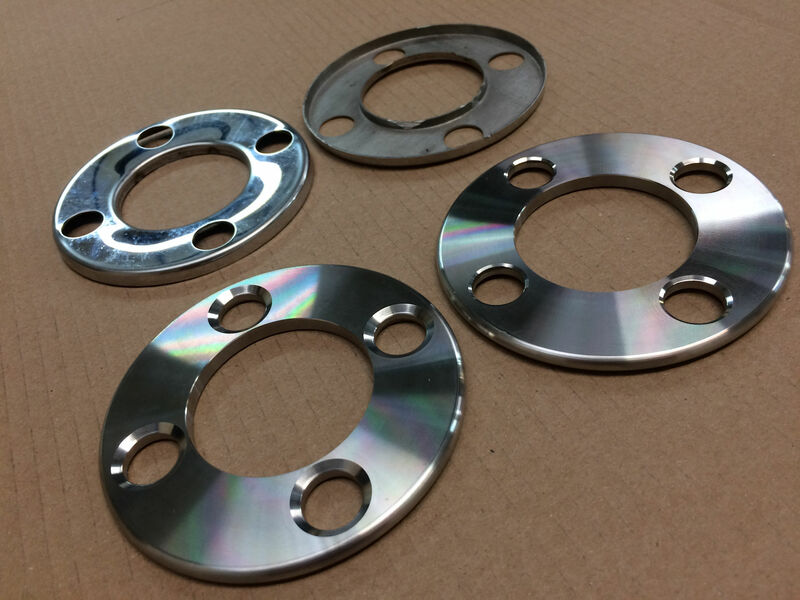 The peeling effect is caused by the alloy substrate corroding causing the chrome plating to oxidise. We regularly test our cafe barrier components to the ASTM B117 international standard for corrosion resistance. Our loops are machined ensuring that they much stronger and have child friendly smooth edges. The holes are countersunk allowing for faster construction of the system. The Cafe barriers from Brandline Products are guaranteed for five years. Brandline invented the floating lower loops to allow the banner to bellow in strong winds. 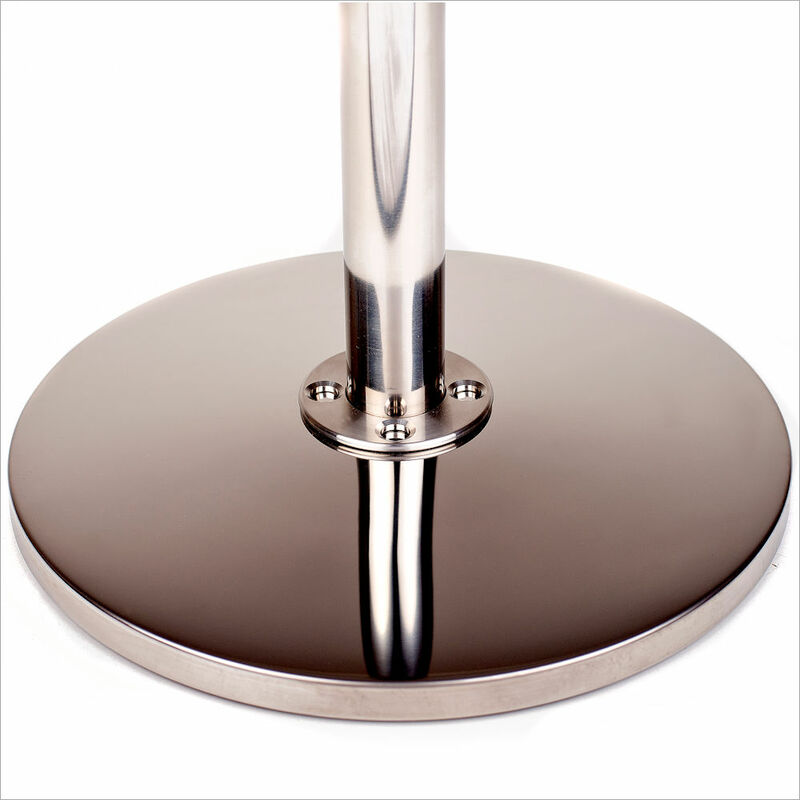 The advantage of the Brandline Cafe Barrier system is that the base covers are spun from 1.2mm Stainless Steel. Most competitors use a pressed 0.8mm, 304 stainless steel material. This dents easily due to the thickness and the grade of stainless steel. The shape of the Cafe Barriers base is tapered. This has been designed to allow wheel chair access on pathways. Selecting a cafe barrier without a tapered base means that it may contravene the disability discrimination act as it is causing a restriction on entry to your premises and also a hazard to push chair and pram users. The standard finish of the cafe barriers is a light brushed finish. Many clients ask for a bright polished finish. We can supply a bright polished finish, however we do not recommend it as it will cause glare in certain lights. Glare can interfere with your visual comfort, physical safety, and independent performance of everyday activities such as driving. As most cafe barriers are usually roadside, we will advise anyone who asks for bright polished posts to think again. The image below shows a polished base and the reflectiveness of it. Our base shape is tapered ensuring access to wheel chair users. Our finish is semi brushed. Visually impaired friendly. The Cafe barriers from Brandline will not cause glare. The base covers on our cafe posts are spun and not pressed. All edges are smooth allowing easier handing. The covers are manufactured in the UK. All material supplied is certified to European standards. Cafe Barriers are weighted. The simple fact is that the weight is determined by the end location. It is difficult for any organisation to confirm the weight you require without at least a site visit. The safest way to purchase cafe barriers is to remember that it is better to be heavier than lighter. However, keep in mind the restrictions of manual handling. Our posts have been designed to cnform with manual handing specifications. As a general guide line, we would not recommend choosing cafe barriers weighing less than 12 Kgs in for indoor or outdoor use. If it is a windy area, think of the alternative weights or bases you can use instead of free standing. 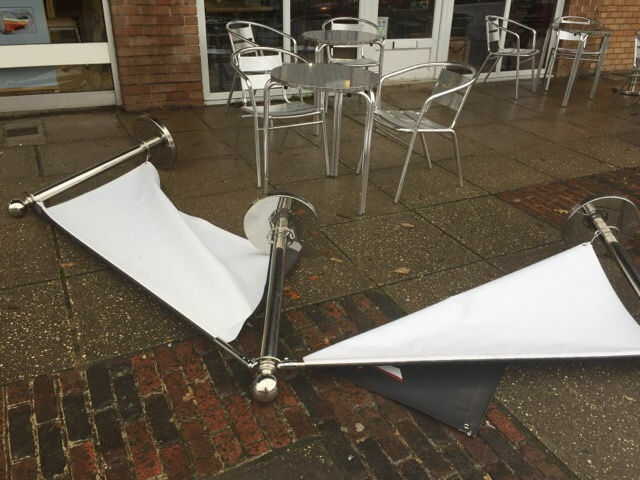 The image below shows a typical set up where the cafe barriers are simply too light. We were happy to replace these competitors cafe barrier posts with ours.